If you're new to poker, hearing "ante" may bring to mind your older female relatives, and "call" is something you do with a phone. Not to worry. This easy guide will help you get up to speed and into the action. Before a hand is even dealt, players put money in the pot. 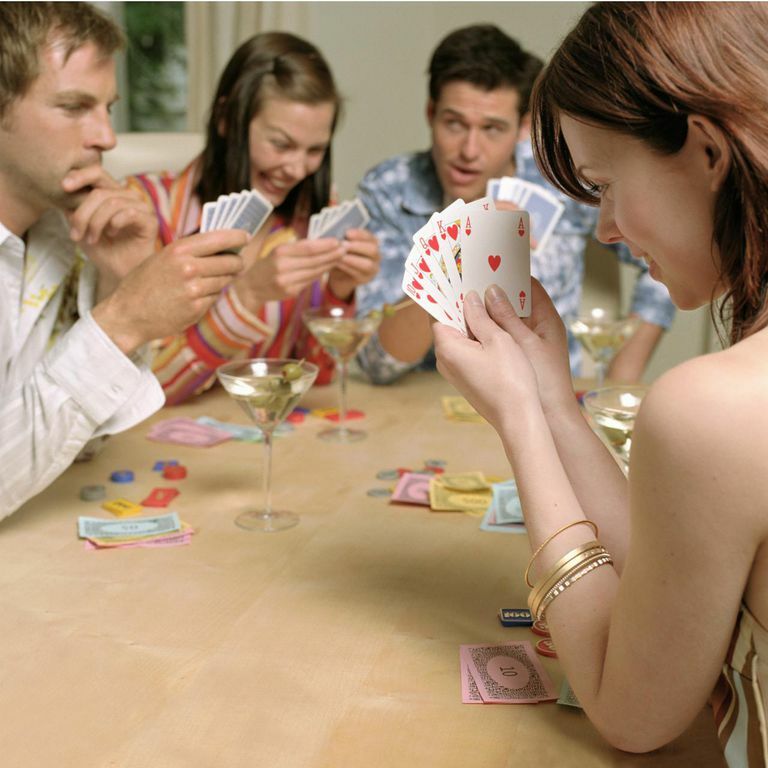 This way, each player has something at stake in the game before the first card is dealt. If a game has an ante, every player contributes a certain, predetermined amount to the pot before each hand. It's usually a small bet. For instance, in a nickel-dime-quarter game, it might be a nickel. The important thing about antes to remember is that a player's ante doesn’t count as a bet. It's just a way of getting a pot started. The other way to start the action rolling is by making players put in a forced bet, called a “blind” before the deal. It's called a blind because you haven't seen a card when you put in this bet -- you're going in without seeing, or blind. The amounts of the blinds are fixed and determined before the game begins. Usually the “big blind” is equal to the smallest bet possible, while the little blind is 1/2 or 1/3 of that amount. So, if the minimum bet was $3, the big blind would place a forced bet of $3 and the little blind might put out $1. The difference between blinds and antes is that blinds do count as a player’s first bet. This means in the first round of betting, no one can “check,” that is, everyone has to bet. In poker, you have five actions available to you during a round of betting. Two actions are for when no one has put money in the pot in front of you, and three are for when you're facing a bet. Check is the poker term for "pass." If it is your turn and there has been no bet or there is no blind to call, you may check and let the action pass to the next person. If everyone checks the round is over. If you don't feel like checking you may bet by putting chips/money into the pot. The amount you can bet differs depending on what the betting structure is. Once there's a bet, the rest of the players have three actions to choose from. To call is to match the amount one of your opponents has a bet. Your turn is over unless someone reopens the betting by raising. The round ends if everyone has either called or folded. If there is a bet, anyone left to act can raise by putting in more money than the original bet. In most games, the size of the raise must be at least the size of the original bet. For example, if someone bets $10, you must raise it at least $10, making the total the next player has to call $20. Folding is simply throwing your hand away and waiting for the next one. There’s no one rule of how to set up the betting in all games of poker. 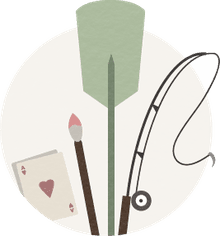 Depending on whether you’re playing in a casino or in a home game, you may encounter one of these four common structures. Most common in home games. In a spread-limit game, a player can bet any amount within some range – for instance, $1-$5. Basically, it means the minimum any player can bet is $1, and the most anyone can bet or raise at one time is $5. The only other rule regards raising. If someone raises, you can only raise that much or higher. In other words, if the player to your left raises four dollars, you can’t raise just the $2 you were planning to, you’ve got to raise $4 or more. This is what most people play in casinos. Simply, with fixed limit poker, the amount you can bet or raise is fixed for each round of betting. If you’re playing a $2-$4 fixed limit game, every player can only bet or raise $2 for the first few rounds (usually the first two) of betting, and can only bet or raise $4 for the last rounds of betting. It keeps it nice and simple. In pot limit games, the largest amount you can bet or raise is the amount that’s in the pot at that very moment. While at first pot-limit seems simple, it's actually probably the betting structure that confuses people the most and can get pretty expensive if people keep doubling the pot. If you’ve watched Texas Hold’em on television, you’ve seen the world of no limit. It’s just what it sounds like: at any point, you can push all the chips you have in front of you as a bet. There’s absolutely no cap on how much money that is, other than it’s what you have on the table already. Familiarize yourself with these common poker betting terms and slang and you'll fool everyone into thinking you're a seasoned pro. Buy-In- The amount of money required to sit down at a game or enter a tournament. It's also just a general term to describe how much money you started at a table with, i.e. "I bought the game for $50." Bump — To raise. "Bump it to ten" means raise the total bet to $10. Family pot — When everyone at the table stays in a hand, it's called a family pot. Kick it— To raise. If you’re raising a $5 bet by another $5, you’d say, “Kick it up to $10." Limp — To bet the minimum or simply call. In hold’em, when the little blind simply meets the big blind bet as opposed to raising, the little blind is "limping in." Post — To put in a bet. Usually, this refers to a forced bet, like a blind. If you step away from a game for a break, the dealer might "post" your blind for you.